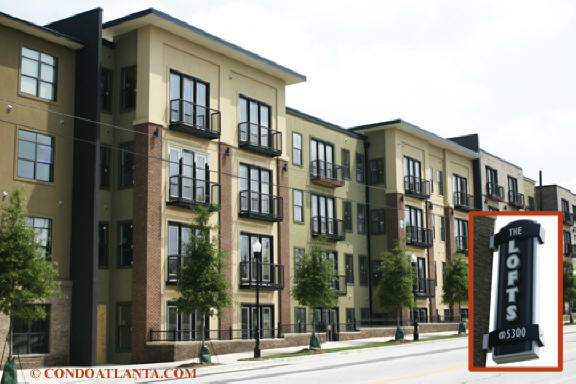 The Lofts at 5300 is a gated swim tennis community of loft style condominium homes located in the Heart of Chamblee near Old Antique Row. Love soft loft living in a location convenient to popular new restaurants and eateries as well as area shopping. The Lofts at 5300 is also just minutes to the Peachtree Golf Club, and the Dekalb-Peachtree Airport. Commuters will appreciate access to travel routes along Peachtree Road, Chamblee Dunwoody Road, and Chamblee Tucker Road. Enjoy an amenities package for the enjoyment of homeowners that includes courtyard greenspace, a clubhouse, a swimming pool, and a roof top deck where you can enjoy a game of tennis. Gated access is provided for added security.